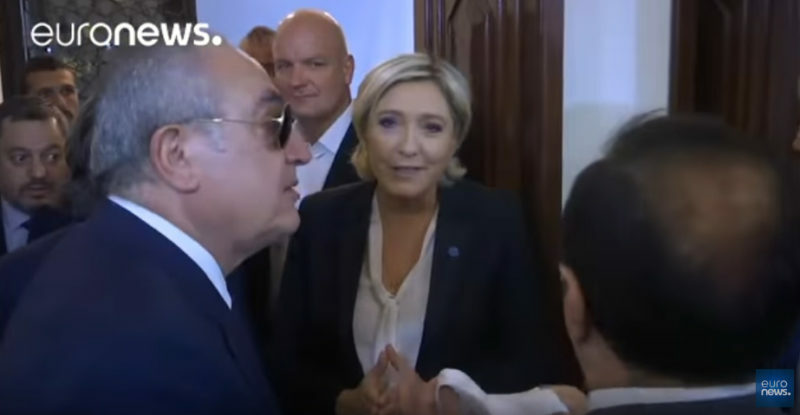 French National Front presidential candidate Marine Le Pen canceled her meeting with Lebanan’s grand mufti after she refusing to wear a headscarf. “You can pass on my respects to the grand mufti, but I will not cover myself up.” Take notes Leftists, this is what a REAL woman looks like. I agree with her and I would NEVER put one of those rags on my head… even if my life depended on it! French far-right National Front presidential candidate Marine Le Pen canceled a meeting on Tuesday with Lebanon’s grand mufti, its top cleric for Sunni Muslims, after refusing to wear a headscarf for the encounter. … After meeting Christian President Michel Aoun – her first public handshake with a head of state – and Sunni Prime Minister Saad al-Hariri on Monday, she had been scheduled to meet the Grand Mufti Sheikh Abdul Latif Derian. …”I met the grand mufti of Al-Azhar,” she told reporters, referring to a visit in 2015 to Cairo’s 1,000-year-old center of Islamic learning. “The highest Sunni authority didn’t have this requirement, but it doesn’t matter.